Please contact us for customizing this tour only for you! This tour is available with flights so, please contact us for customizing tour with flights to/from Dalanzadgad. Note: This tour maybe available a day shorter upon the guest’s request. We’ll start our trip with a full day of driving to the Baga Gazariin Chuluu Ruins (1768 m high granite stone mountain in the territory of Adaatsag soum, Dundgobi province. Is another place with unique scenery that many tourists compare with Lunar scenes? The mountain contains remains of old temples. They are not only rich in mineral and crystals, there’s also a small spring called “Eye” on top of rocks, old stone temple ruins related with 17th century. 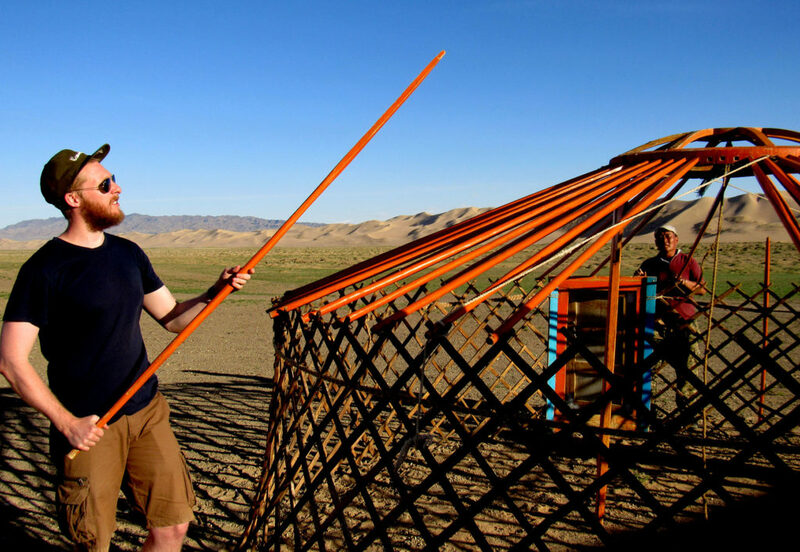 We’ll spend the night in a family’s spare yurt. 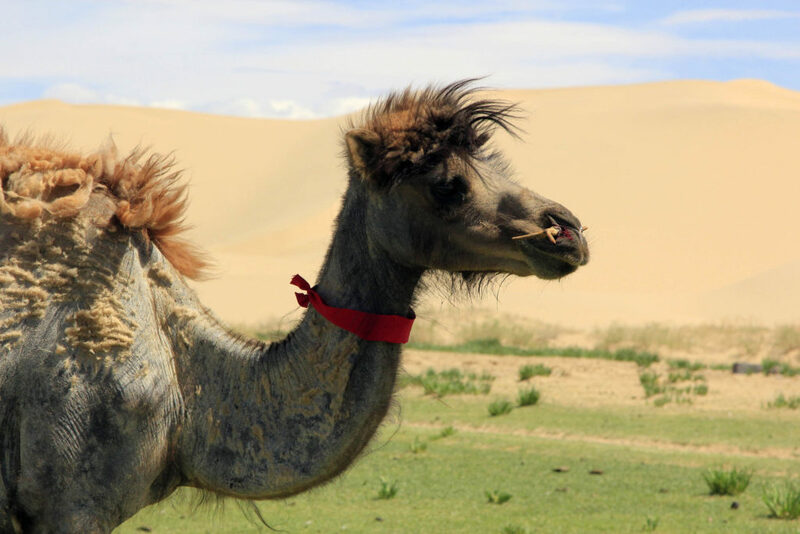 We’ll drive to Yoliin Am in middle of the Gobi Desert National Park which is a strictly protected area, covering 70sq.kms. The mountains here are the highest in the Gobi Desert and the rocky scenery is quite interesting, especially until mid-July while the ice in a gorge remains. We’ll walk 3kms through a narrow valley, then 3 kms back to the minivan. We’ll spend the night in a yurt camp. After lunch we’ll drive to the Khongoryn Els Sand Dunes (195kms). The Khongoryn Els is some of the largest and most spectacular sand dunes in Mongolia. 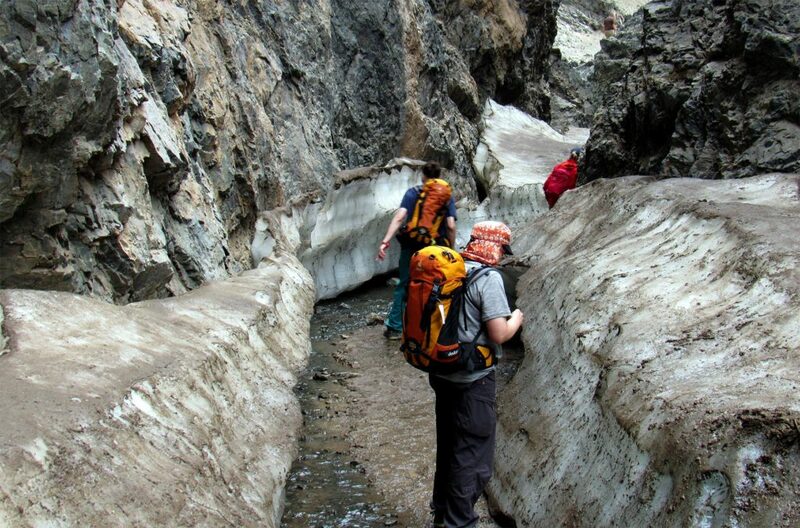 We’ll see beautiful views, huge sand dunes and a cold-water spring with a river that leads to two small ponds. We’ll then spend the night in a family’s spare yurt. We’ll climb and hike to the top of the biggest sand dunes. There is an oasis near Khongor creek at the northern edge of the sand dune. The dunes make sound like plane engine on a windy day, so its name is “Singing Dunes”. Also, if you wish, you may walk alongside the creek for about 10 kms. We arrange a camel riding trip to the sand dunes. We’ll stay in the same family’s yurt. We’ll drive to Bayan-Zag(150kms). When we arrive at Bayan-Zag, spend the night in the Ger. 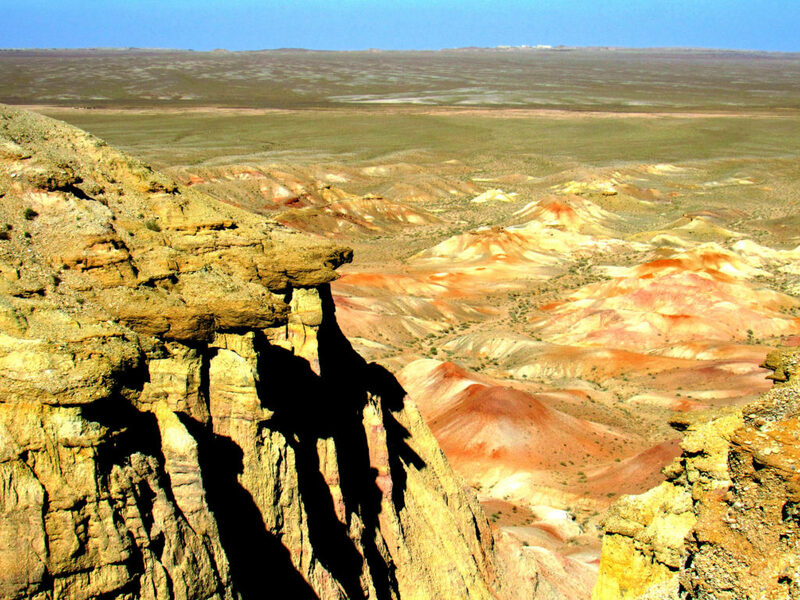 Bayan-Zag means “rich in Saxaul Shrubs” is more commonly known as the “Flaming Cliffs” of Bayan-Zag, famous for the discovery of dinosaur fossils. We’ll stay in a yurt camp. We’ll drive to the scarp of Tsagaan Suvarga which is located in Ulziit soum, Dundgobi province. It is interesting to see the sheer slope, facing east, which from cliff is 30 meters high and 100 meters wide. Over thousands of years the wind has created this amazing structure. We’ll stay in a family’s spare yurt.